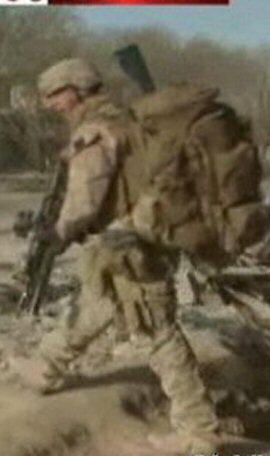 Many operators see the G4 Operator as the ultimate scout/sniper pack. 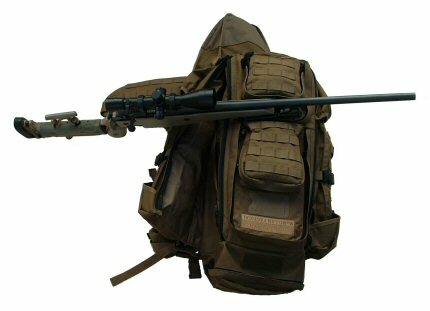 It represents everything that Eberlestock has learned about the needs of the professional military sniper community. 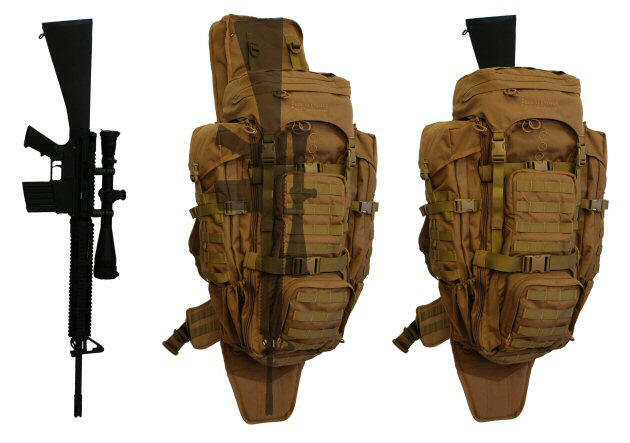 It is a true go-to-war pack, derived from the lessons learned from our Phantom and Gunslinger products. More than one major military sniper program has converted to this product for combined carriage of gear and sniper rifles. Below, the scale of the pack can be seen, fully loaded. 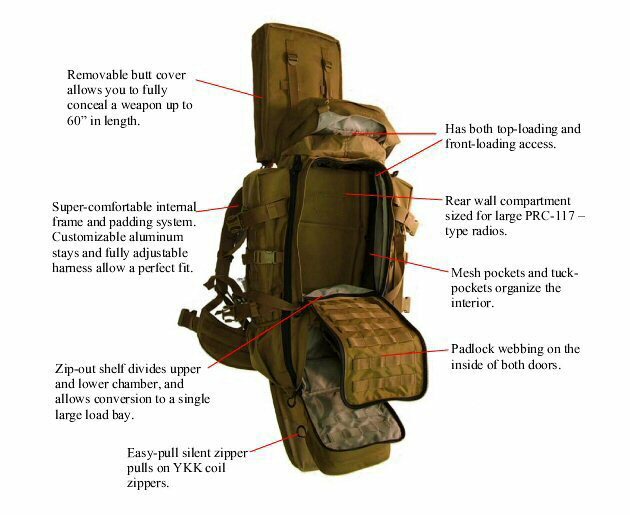 It's a behind-the-torso pack, and places the weapon right along your center-of-gravity. The G4M shown above with an AR-10-type weapon. Note: The scabbard locks into the bottom of the pack when not being used to carry longer weapons.